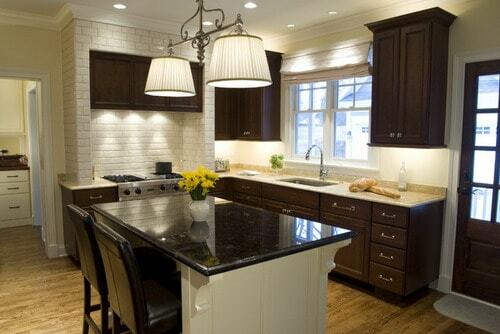 0.0.1 Dark Kitchen Cabinets can have a modern, industrial appeal. 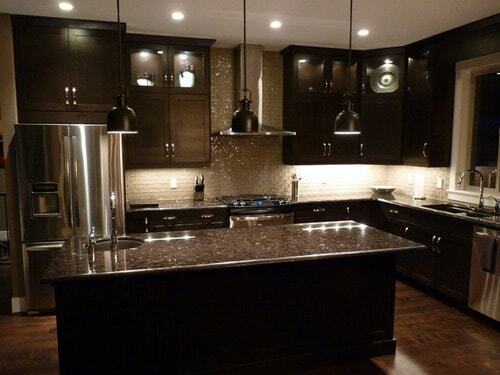 Dark Kitchen Cabinets can have a modern, industrial appeal. Bright, sunny kitchens with pastel trim or country curtains don’t appeal to everyone, so if you have an edgier aesthetic, you might choose a darker route. A kitchen’s cabinets define the look of the whole room, and if you paint them a dark color, the rest of your kitchen decor must complement or balance that bold statement. 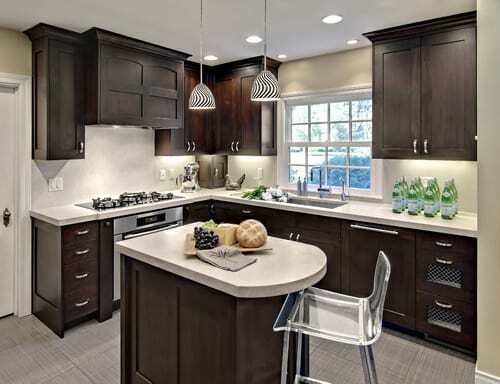 Choosing a dark cabinet color doesn’t limit your options, though — you can still make your kitchen look as vintage or modern as you like. Paint the walls around the cabinets and the insides of the cabinets a lighter shade of the dark color you used for the cabinets themselves. 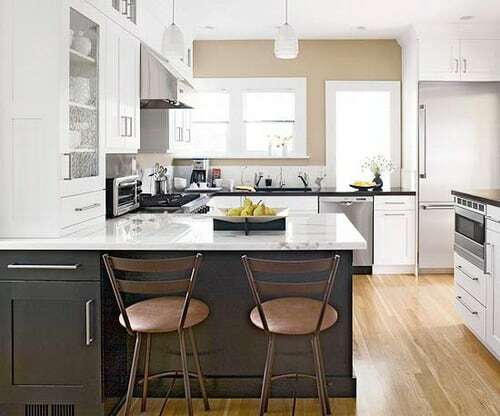 For example, if your cabinets are black, you might paint the walls and the insides of the cabinets dark gray to create the formal, slightly mysterious atmosphere of the Victorian era; for a less formal, more airy look, perhaps evoking the Edwardian era, you might use a paler shade of gray. Install vintage light fixtures that reflect the era you’re evoking. Examples might include pendant chandeliers for a Hollywood Regency feel or wall sconces for an Edwardian design. Select curved, ornate faucets for the sink and elaborate hardware for the Dark Kitchen Cabinets to increase the feeling of historical formality. Use finishes that are appropriate for the era you’re evoking, such as bronze in a Victorian style kitchen or silver in a Regency kitchen. 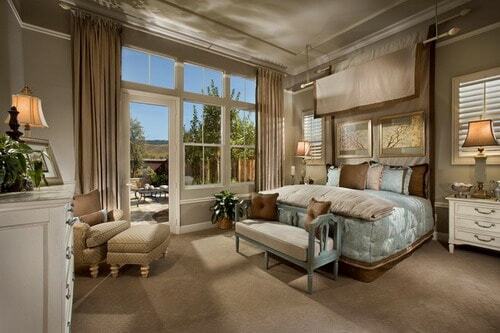 Hang paintings or wrought-iron wall decor that echo the same curves or embellishments. Consider using cabinet facing that features raised panels. Each era has its own style of raised paneling, so select your cabinet facing to reflect your chosen time period. For example, Queen Anne-style kitchens feature lots of molding and complex paneling, while Georgian-style kitchens feature simpler, more geometric paneling. Use a matched set of pale-colored cookware and dishes. The matching china increases the feeling of formality, and the light color balances the dark cabinets. If you want to invest some money in a fine china set, look for a set that mimics the style of your chosen era. 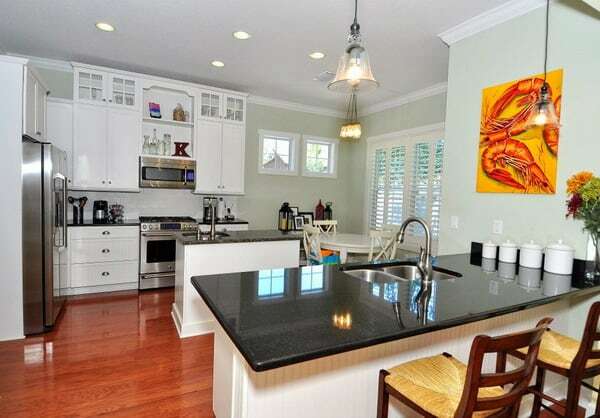 Paint the walls around the cabinets and the insides of the cabinets a color that contrasts with the dark cabinets. 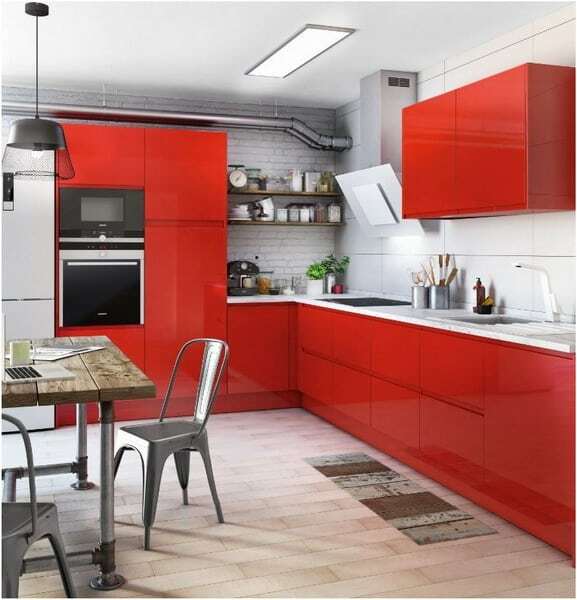 Consider a rich red for a warm, exotic look; a mint green for a cool, peaceful look; or a beige or cream for a sophisticated, contemporary look. 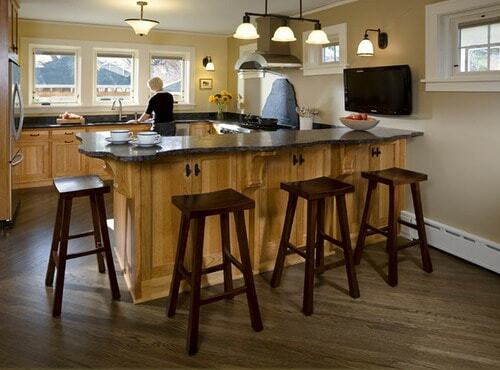 Install modern lights, such as geometric fixtures, recessed lighting or industrial pendants. Select fixtures with a black, chrome or mirrored finish, or find fixtures in the same color you used to paint the walls. Select faucets and hardware with black, chrome or highly reflective finishes. Use the same finish for the backsplash. For example, if you chose hardware with a shiny black finish, you might choose black polished ceramic tile for the backsplash; if you chose chrome hardware, you might choose a backsplash made of smoky quartz with silver flecks. Hang modern art on the walls, or keep walls free of decoration and instead place a vase with colorful flowers on one of the counters. Modern art amplifies the contemporary atmosphere, while a vase of flowers balances it out and softens it. 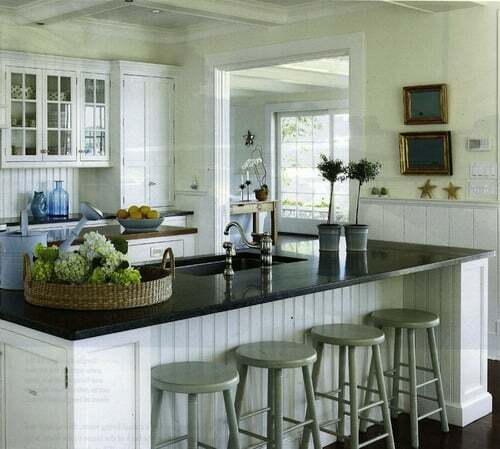 Fill the Dark Kitchen Cabinets and shelves with black dishes to contrast with the paint inside. 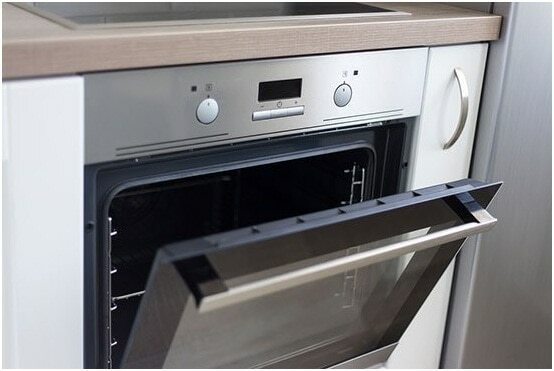 Consider choosing cabinet facing with dark frames and glass panes, so viewers can see the contrast inside when the kitchen cabinets are closed.